Our unique process fuses an added polymer to facilitate donning and comfort. Fully textured with Grip Rite Finish, MAMBA gloves provide the precise contact when tactile sensitivity is a must. Superior strength and tear resistance. Over 6.0 mils in thickness. Better than blue or green hospital grade gloves. 3 times the chemical resistance of latex or vinyl. Can your gloves do this? 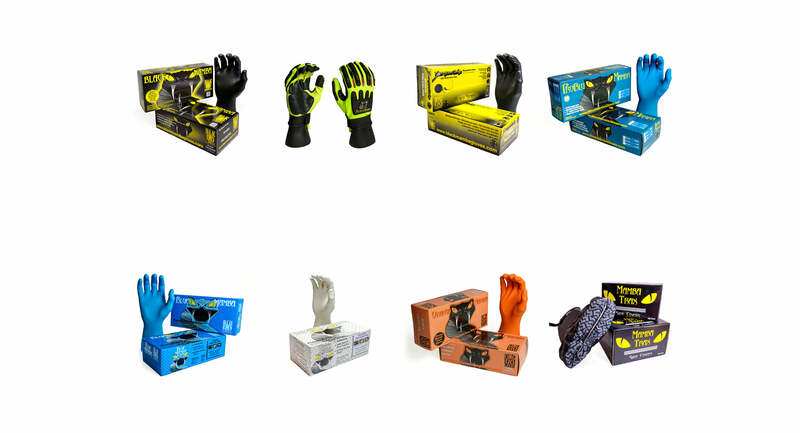 Is to provide lasting protection to those in need of tough gloves for tough jobs. Your job demands toughness. Black Mamba Gloves were created with you and your ultimate protection in mind. The Black Mamba nitrile disposable glove is our flagship product and the leading black disposable nitrile glove on the market. Manufactured from Black Mamba's patented Nitrex® formulation it is puncture resistant, chemical resistant and optimised for tough jobs.